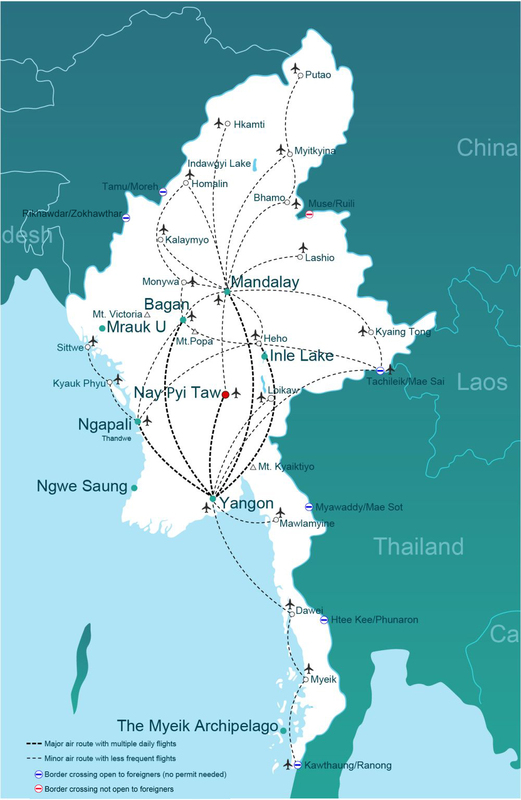 Domestic flight schedules to Nay Pyi Taw can be found on the tables below; for information on direct international flights go to getting to Myanmar. Nay Pyi Taw airport is about 30 minutes drive from the main hotel zones and most government offices and ministries. Taxis are around K15,000; there are no public transport options. Nay Pyi Taw’s bus station is located next to Myoma market (Myoma zay in Burmese), not far from the main hotel zones. Taxis should cost around K5000 – although it may be be more if your hotel is in a more distant zone. As buses arrive in Nay Pyi Taw, many drive through the main hotel zone – which means you may be able to get dropped off outside your hotel. Nay Pyi Taw railway station is a long distance from most of the ministries and hotels, and a taxi will cost you at least K15,000. 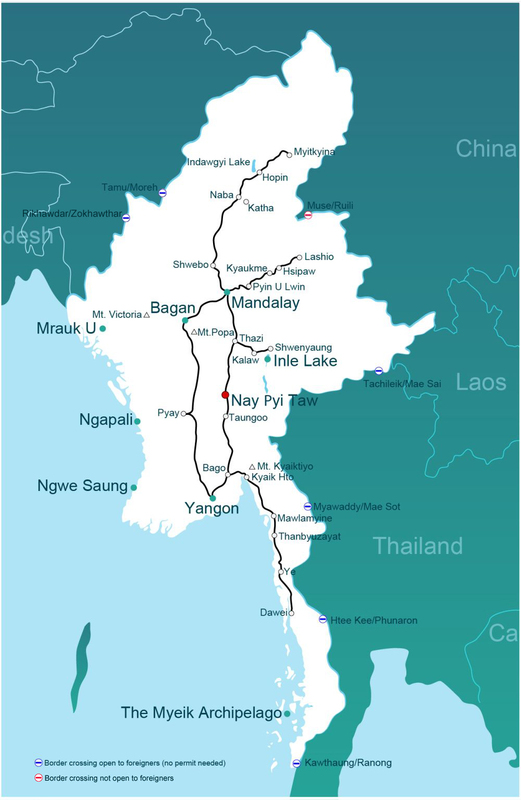 There are also regular daily trains from Thazi, Bago and Taungoo. The journey time by car from Yangon is around four and a half hours; to get a quote or book your car (with driver), click below. To find out more about car travel, go to getting around Myanmar by taxi and car.